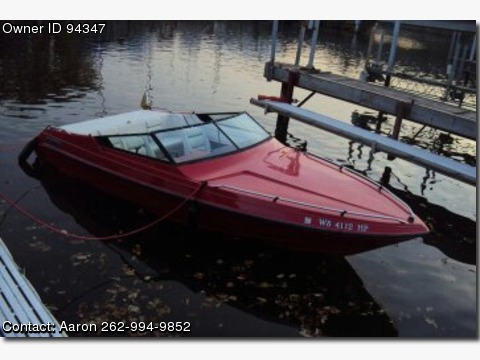 Call Boat Owner Aaron 262-994-9852. Description: This boat is all restored. Reconditioned in 2011 Mercruiser with only 100 hours, new carborator, imppers 2012, complete seats & upholstry new 2011, new 2011 battery, anchor, Bimini top, bilge pump, new 2012 carpet, full gauges, hydraulic steering, Stilleto SS prop., 2 spar props, Hydrofoil w/sport clip, dual exhurst 4" stainless, winter cover, stored indoord, storage, swim platform, EZ Loader trailer 1998, always in fresh water, new paint 2008. Comes with everything to turn key and boat.